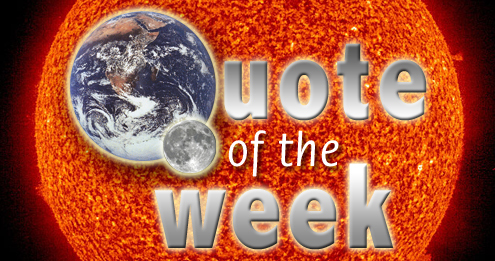 Quote of the Week – 20/20 hindsight | Watts Up With That? Elsner’s statistical work on hurricanes and climatology included a model to predict hurricane activity six months in advance, a tool for selling catastrophe bonds and other products to investors. The rock star in the room was Kerry Emanuel, the oracle of climate change from the Massachusetts Institute of Technology. Just two weeks before Katrina, one of the world’s leading scientific journals had published Emanuel’s concise but frightening paper claiming humanity had changed the weather and doubled the damage potential of cyclones worldwide. Elsner’s discomfort grew as he realized RMS sought numbers to hard-wire into the computer program that helps insurers set rates. But Emanuel said he entered the discussion in 2005 “a little mystified” by what RMS was doing. Read the full post here, it’s mind blowing. November 15, 2010 in Forecasting, hurricanes, Quote of the Week. ← French give the boot to the "Super Ministry of Environment"
Here is another “consultancy company” creating climate change assessment reports out of thin air. This company recently ranked Israel number 14 on a list of countries under terror threats. If they produce their terror assessments in a similar way as they produce their climate change risk assessments I can tell you right now that their reports are not worth the paper they’re printed on. Typical. People are full of it on the hard sell, going in in complete ignorance but pretending to know stuff and feigning confidence to get the money and the glory. Then everyone jumps on the band wagon and it becomes heresy to disagree with the “consensus” real or imagined. Then years later they recant and be more humble. Then everyone will praise them for their “humility” etc… OMG it makes me sick to my stomach. So the moral is, kids, we should all go around starting out making brash statements with absolute though misplaced confidence, get the glory and the money, beat anybody down who dares to disagree, then recant later in life and be praised for our wise humility. Science has become pure, unadulterated, chutzpah. Science is dead. Wiil Kerry Emanuel be on the Black List Now? Will he get a tatoo on his arm? Or to put it another way: It’s one thing to make outlandish and unsupported claims. It’s another to be expected to provide actual evidence and data. An insurance consultancy gets scare stories from AGW believers, and the insurance companies increase premiums as a results, especially in “hurricane sensitive” areas like Florida. Property costs in Florida therefore rise, to include the “insurance” premium. But many owners can no longer increased rates, and are forced into selling up. Property prices subsequently collapse, due to the glut of sales. But these properties were the collateral for all the risky mortgage deals, which also collapsed, leading directly to the banking collapse world-wide, and the recession and deep do-do that we’re all sitting in now. Therefore, the worldwide recession was caused 4 AGW gurus in one afternoon. Don’t they have conspiracy laws in the U.S.? How quickly they change their tune and turn on a dime. I’m not a religious person but I guess the scripture is true, ” the love of money is the root of all evil”. How do these people sleep at night? I have to agree with ‘Chris Smith’ take on this, and yes, ‘it makes me sick to my stomach’, too. Opportunist soothsayers trying to con corporate wealth-manipulators. They deserve each other. LOL. I have mentioned this subject several times in the past. Insurance companies are required to “justify” rate increases in order to get approval from state oversight boards. These climate “predictions” are the justification. It also overflows into the National Flood Insurance program for the same reasons. 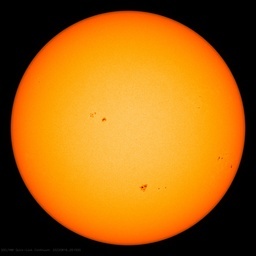 Mother Nature slaps another AGW in the face saying “Silly boy, you don’t know me do you?”. Money makes the world go ’round and that explains why my head is spinning…. btw, any state or other promises of back-calculated premium rebates? You know that CAGW is dead when WUWT turns into a cat blog. Can we give it honorable mention? Where are the hurricanes? Where are the jobs? Where are the kings soothsayers? Even very smart people can be fooled by a slick salesman with a black box that is reportedly “uniquely qualified” to give answers nobody else can determine. I’ld be following this trail like a hound dog sniffing out insider trading. This set up is a gold mine for those wanting to dip into the till of insider trading advantages. This short statement jumped out too. “Elsner’s discomfort grew as he realized RMS sought numbers to hard-wire into the computer program that helps insurers set rates. “We’re not really in the business of making outlooks. We’re in the business of science,” he told the Herald-Tribune in a 2009 interview. “Once I realized what they were using it for, then I said, ‘Wait a minute.’ It’s one thing to talk about these things. It’s another to quantify it.” AND “Elsner disputes that idea. “We were just winging it,” he said. So they are all hat and no cattle. Summary: The insurance companies paid four scare mongers to deliver exactly what they knew they would so they could increase profits 30%. It did not matter if it was correct, only that the “experts” have the proper credentials for state insurance boards when the insurance companies applied for the 30% rate hikes. I thought, well, why not combine the terms “Munich Re” and “IPCC” in a search and see what we find. In these days, that should be a sure way to get some entertainment. So, let me get this straight. The hurricane/cyclone alarmists are not comfortable putting hard numbers on the hurricane to where it will cost people extra money for their predictions and profiting an industry. But, they are more than comfortable throwing vague inferences about increasing numbers of hurricanes attributable to CO2 emissions costing many more people much more money. Ok, I got that. Profiting industry = bad. Bilking society in general = good. And I thought there was no socialist agenda…….phhhtht. “Give me a lever and a pole long enough and I can move the world.” I think some guy that worked for a Greek Insurance Co. said that a long, long time ago. The Greek I quoted was probably referring to a BIG (not long) Polish slave. Never was too good at Greek. In all seriousness, they would have had a better chance of accuracy if they had tossed bones on the ground and danced around them while they burned incense. At least then the results would have been random rather than preordained. Of course, the preordained results were far more profitable. This is no longer business we’re talking about, this is Organized Crime. This is where the fiscal rubber meets the road with all the CAGW alarmism. I live in Florida, and have followed this closely, because as they say, “I have skin in the game”. The rate increase after Katrina was not very surprising, as we saw the same thing after Hurricane Andrew blew a hole through Miami. The insurance industry historically back-collects for any losses, which it hides with a mountain of bureaucratic chaos. What was surprising though was when they continued to ask for huge increases year after year when we were having consecutive quiet seasons. They had the gall to claim they were losing money even when no hurricanes at all hit Florida. The insurance companies have setup a system where operating profit cannot be determined by the state. An egregious example is “pup companies”. A new company “State Farm Florida” is created that sells all home insurance in Florida. State Farm Florida must buy “reinsurance” from State Farm America at an internally determined price. State Farm Florida sends most of its profit every quiet year to State Farm America. State Farm Florida remains eternally a just barely surviving company. Well the state of Florida called BS on all this and rejected State Farm’s increase (the state’s largest home insurance provider). It took two year of subpoenas before State Farm would provided govt mandated information on profits and losses, and they only provided this on the day before their CEO was going to have to testify under oath. The ultimate response was that State Farm, along with many other providers, simply left the state of Florida. Now 30% of Floridians are covered by state provided “Citizens” insurance. We went through an insane period where Citizens was required by law to provide the highest rates of all companies, but that ended. I’m a capitalist at heart, and this is their right to do so as a private company. The only thing that bothers me is the apparent coercion between insurance companies and how they act as an industry, not competing private companies. We don’t really buy “insurance” down here, the insurance company just collects profit during good years and makes us post pay after a major loss. More details of tragic abuse: Insurance is required if you maintain a mortgage loan, which is reasonable. So almost everyone is stuck with having to get it. What is not reasonable is that you are not allowed to cover only what you own on the loan’s principle. It is mandated by law that you must always purchase 100% coverage. I own my house free and clear, and I cannot buy only catastrophic coverage on my house. It is an all or none proposition. I’m seriously considering none. The cards are not stacked in the consumers favor. Close enough for government work… just not close enough for any real wagering. I believe State Farm no longer insures property anywhere on the SE coast . At least that was what they told me when I tried to get insurance for my house in coastal GA a few years ago . This was after Chubb dropped me because I didn’t have shutters in addition to impact glass ! I finally got insurance , but at an atrocious cost . In other words , I feel your pain . I would like to add that I have just sent this article to my insurance agent . We will likely see the same “post-collection” of “losses” from insurees following the earthquake in my city, notwithstanding that premiums have been collected nationwide for decades. Now that the climate extremists – the profit takers with their hands dripping with 83 billion in un-earned, un-justified “black profits” stolen from the citizens by so-called “consensus CAGW scientists” – have their money and their fees, are they going to give back any of that money they stole? Look, the good news is that common sense and truth are fighting hard and slowly winning. Right below this is the French booting that goofy environmental department. And many people are aware of the scam of Climategate now. And also Chicago just closed their carbon trading unit because people and blogs like THIS ONE shone the light of truth on this global ponzi scheme. Statistical analysis is but a compilation of sorts of what has happened in the past if done well. Any projection into the future based on what has occured in the past will, in tme, fail, and usually fail rather quickly. The world turns, and things change. Sometimes change occurs slowly, sometimes rapidly, but change is happening all of the time. It would be a whole lot easier, faster and cheaper to hire the services of Old Farmers Almanac, and would serve as well. In prose, they are “All model and no hypotheses.” I just love it when Warmists confess the most important criticism that sceptics level against them. How sad, how true. To what does it compare as a loss of practical faith? To World War I and the death of monarchy in Europe? Someday, some now unknown genius will give the world a wonderful book on the civilizational catastrophe that is the death of science’s moral standards. He will not be awarded the Nobel Prize. For his part, Pielke returned to Colorado and set up a random number generator to rank RMS’ 39 climate models from 2008 — akin to blindly throwing darts to choose the best model. The outcome nearly matched the scientists’ consensus. An interesting aside is that my research under him was focused on answering that very question – where will the hurricanes go? As evidenced by the current year in the Atlantic, lots of activity did not result in any US landfalls. Or consider 1992, a very inactive year, but with one tiny/nasty storm named Andrew. So it is clear that the whole numbers game in the Atlantic is only part of the story, as the where-will-they-go question is far more important. Even though my research was published in 1997 Monthly Weather Review, and even with follow-up stuff from others, I think no one has really answered this question in any satisfactory manner. Unfortunately, Pielke’s monkeys-throwing-darts image comes to my mind when trying to say where the storms will go the next few years. Sounds like there is major market opportunity for more affordable hurricane insurance . I first heard the term “reinsurance” from a neighbor who ran a Johns St reinsurance firm which was just about bankrupted by the Space Shuttle . One of the handful of customers of my original APL.CoSy back in the ’80s was a noted actuary who ran an industry consortium which pooled workers compensation extreme events . He , of course , had far more numerous data to work with . As with other markets , maximal long term returns will go to the most accurate understanding of reality . The quote “It’s one thing to talk about these things. It’s another to quantify it.” exemplifies what has driven me active about this nonscience since I first perceived how dangerous the anti-carbon eco-leninists were becoming . Real science is quantitative , and works from a precise , experimentally verified , understanding of simple cases towards more complex , closer to real-world , cases reducing the unknown variance between “model” and observation . A uniform gray ball in our orbit is as crude a model of our earth as I can think of . Yet it explains all but 3% , less than 10c , of our observed temperature . “Climate Scientists” continually parrot the most extreme frigid computation which gives a temperature 23c colder than a gray ball asserting the total 33c difference as the warming produced by our atmosphere . Other than that one crude calculation , I see no evidence that they know how to calculate the temperature of a ball with any arbitrary spectrum . Despite their kilolines of finite element code , I see no evidence that they actually know how to calculate the temperature of a radiantly heated uniformly colored ball . Note that it takes perhaps a dozen lines of APL to implement the algorithms for even a non-uniform colored ball — which gets pretty close to modeling the earth .